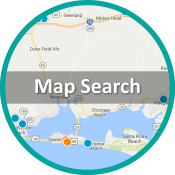 Finding real estate in Okaloosa and Walton County is easier than ever with our new user friendly website. Our real estate search has all the active MLS listings from every real estate company updated daily including foreclosures, distress sales and short sales. Detail pages give you everything including photos, taxes, room dimensions, features and a full description of every home. 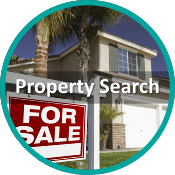 You can easily set up your own search with our advanced search and we will email you the new listings, price changes and sold listings as they become available. Our MLS search is easy to use for local real estate. 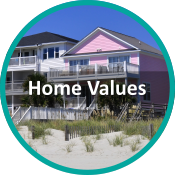 Find all homes, condos and lots for sale by location, price and the amenities you want. You can look by location (city, county zip) or get more specific and search by individual subdivisions. Need a home on the water, you can do it by gulf, bay, harbor or lake. Looking a gated community or resort, we can do that too. If you are not sure exactly where you want to be, select "all counties" and get real estate listings for all the Northwest Florida counties we have in one list. 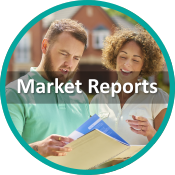 New properties and price changes are refreshed every 15 minutes and updates are delivered to your inbox including new listings, price changes and recently sold real estate. If the property is listed in the MLS, you will know about it within 24 hours. 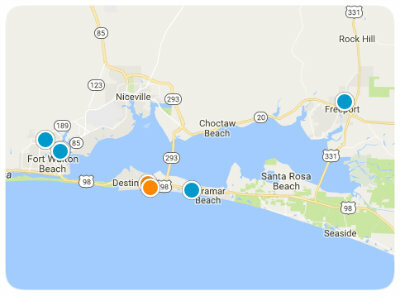 The Destin and surrounding market was influenced heavily by foreclosures and short sales, they have almost disappeared from our market. Most of our sales are now "normal". While some foreclosures and short sale properties will be on the market for the foreseeable future, they are not playing a significant role anymore as they have in the past. Offers on distressed properties require bank approval for a sale. This is important to know up front, because you will be required to have a home loan approval by a local lender up front. If you are paying cash, you will need a recent (within the past 30 days) account statement showing you have the funds to close. The banks will outright reject offers (even full price or above full price) without the correct documentation. Conventional sales are usually requiring the same documentation by sellers. We have local mortgage specialists that have demonstrated their knowledge of the Florida market Based on our experience, we strongly urge you to consult us prior to committing to a lender that may be out of state or from the internet. Many times, the stress home buyers experience comes from a lack of understanding the process and all the variable that go into buying a home in this market. We have put together a short Home Buyers Guide full of tips we use daily. Regardless of the agent you choose to work with, we hope this guide will help.